Starting with my usual Kmart card base and cut one panel on the long side with the stitched ric rac border die from the Sunny Studios Ric Rac Border Dies. Taking the ric rac die, I cut six different colours of the Rainbow Bright paper that came in the box. Then using the 6 pieces of ric rac to create a rainbow above where I die cut the card base and adhered them with Helmar glue. I then took the Rainbow Text Die and cut it five times with black cardstock that had one side covered with Crafts 4 U double sided tape. Layering these up gives dimension. The sentiment is from the Over the Rainbow stamp set from the box and stamped with the Tim Holtz Stamp Platform with Archival Ink. With the stamped element in place I added the dimensional rainbow word. Next I used a bunch of sequins to decorate the card. I used some I purchased from Ali Express and some from Darice. These were glued down with Lawn Fawndamentals glue. Finally for a little more shine I decided to add some Glossy Accents to the stacked rainbow word. 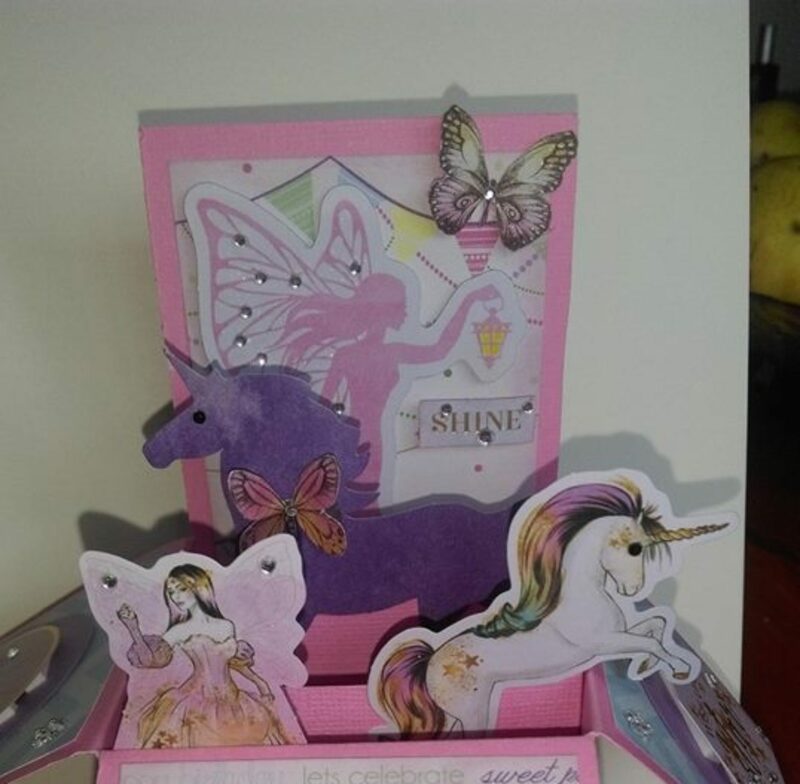 It was fun to create this Rainbow Card using The July Hedgehog Hollow Sunny Studios box. Be sure to check out my 250 Sub Party video so you don’t miss out! Hope you are creating your own arty crafty alchemy, bye for now.